Hungary drew Italy 1-1 to take first place. Gara,ticia(HUN) perfect concentration and a perfect 6/6. Action from rd6. Hungary beat Austria II 2-0 to remain in first place. WGM Gara,Ticia and IM Rudolf,Anna both won. Gara has gone 6/6 in the tournament so far as Hungary completely has dominated the event. Rudolf is also doing well with 4.5/5. Hungary won again and is in clear first. 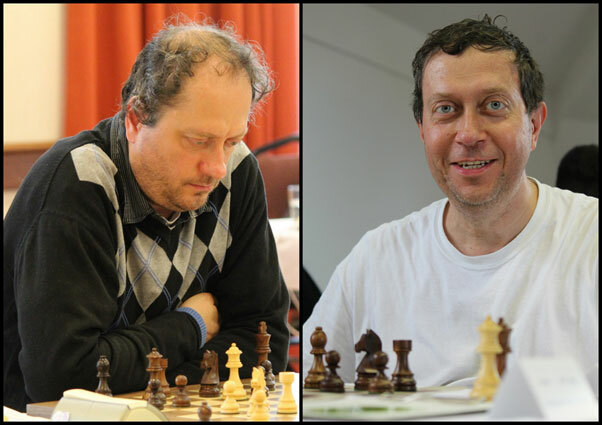 IMs Vajda, Szidonia and Rudolf, Anna both won as Hungary beat Croatia 2-0. Some action from Rd6. Photo from Official Site Gallery. Gara,Ticia and Rudolf,Anna both won as Hungary beat Switzerland 2-0. Hungary takes the early lead with a perfect score so far. This tournament proved to be tough going starting with my first round loss. I was unable to make the most from several good positions and had to save a couple of bad ones. The best White can do is 39.Bxb2 Rxb2 and Black won with no trouble.